Zachary Dawcett was eight years old on D-day, barely old enough to remember what life was like in the Old Days. He’s a young man now. He’s learned to live in this new world – learned to hunt and fight, and survive in the ruins of old East Texas. He, along with everyone else who survived the nuclear devastation, have adapted to this new way of life. They have learned to accept that computers, electric lighting, automobiles, or any of a million other conveniences that they once took for granted are all things of the past. Then, one night, Zachary spots a satellite in the sky – the first indication in twelve years that anyone is rebuilding. As events unfold, he is forced to question everything he thought he knew, and the decisions he makes will help determine the shape of the reemerging world. 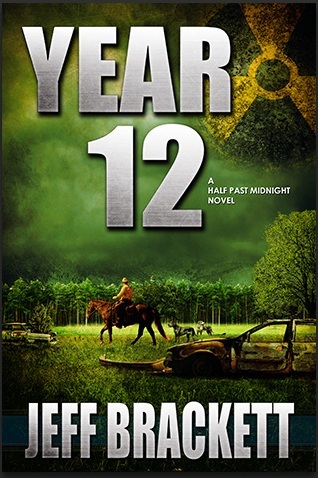 Year 12 is the long-anticipated sequel to Half Past Midnight. 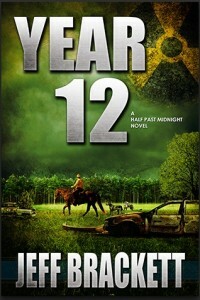 Buy Year 12 in trade paperback. Buy Year 12 for Kindle.